It is coca-cola with coffee in it. It tastes like coke but with a coffee taste as well and by “coffee” I mean that coffee flavour that a coffee flavoured milkshake or a coffee flavoured cake tastes of. There is also a weird slimy quality to it. It’s like drinking coke but a bit more unpleasant. The coffee is “real” and from Brazil. If I was Brazil I might object to the free advertising. So it’s coke with no sugar? Or coke with sugar, but no added sugar for the coffee? I recently saw tweet about a coffee soda here in the States — not here in Arkansas, obviously, but like in New York or somewhere. It wasn’t Coke-flavored, though, just coffee soda. That sounded interesting. Coke + coffee sounds horrible, but then I don’t much like Coke. I guess it is coffee flavoured Coke Zero – don’t tell John Scalzi! I’ve had coffee flavoured pepsi before. It was tolerable, for those of us who are coffee-addicted and too far away from a better caffeine source. I imagine coffee coke is similar. I’m not sure such a thing would ever take off in SE or E Asia given the amount of (semi-decent) canned coffee drinks available here. 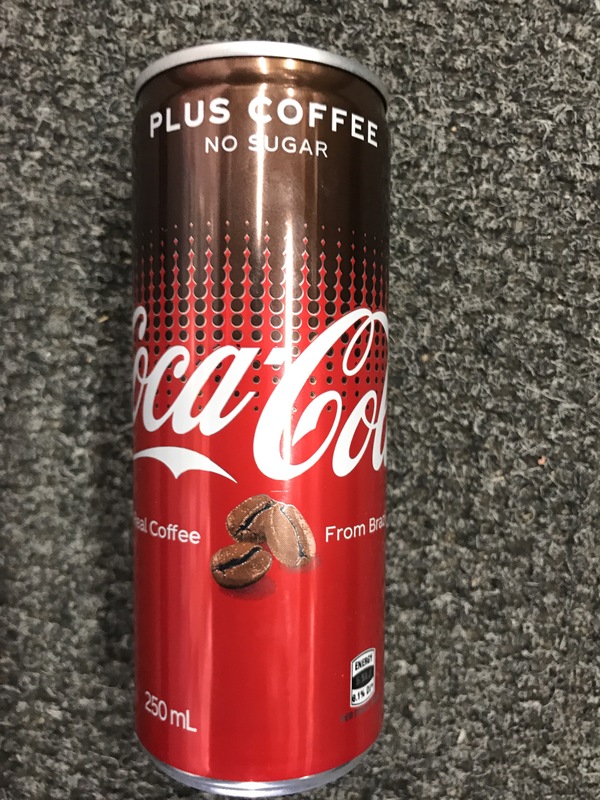 So they’ve mucked up a perfectly good Coke with icky coffee flavor? We have canned coffee drinks here, and lots of them, but they aren’t sodas. Just coffee and sugar, or coffee and milk, or plain coffee. I’m interested in coffee soda. Maybe one day it will arrive in our hinterland.